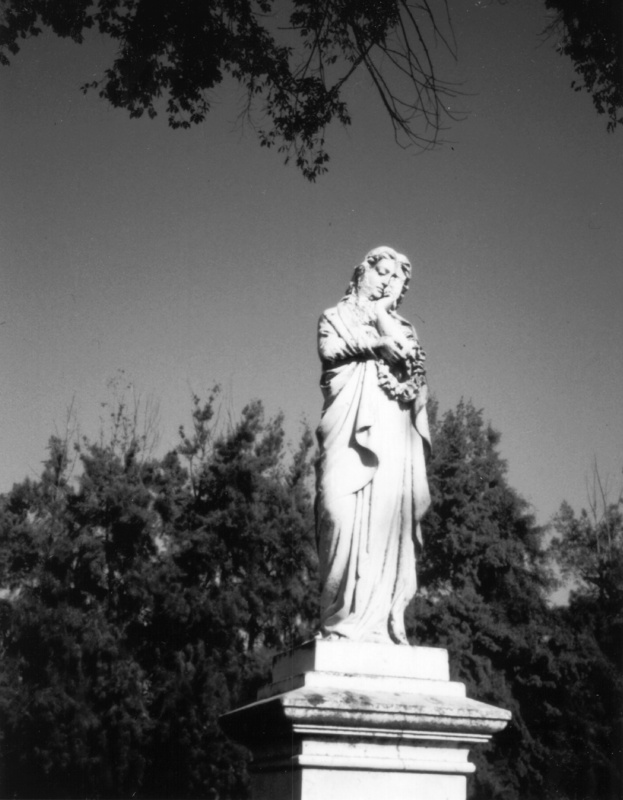 The cover photo for Morbid Curiosity #2, taken at Sacramento's Old City Cemetery. Morbid Curiosity alumna M. Parfitt leads her first tour of Sacramento’s gorgeous Old City Cemetery on Saturday, April 2 at 10 a.m.
Blizzards, floods, storms at sea – Sacramento’s early citizens battled brutal weather to make it to the land of gold, or just to survive here. The Historic Old City Cemetery will highlight these determined pioneers with its “Storm Survivors” tour on Saturday, April 2nd. Knowledgeable tour guides will introduce you to brave Sacramentans who survived natural disasters through ingenuity, perseverance or just plain luck, during this fascinating tour. This is a walking tour and starts at 10:00 a.m. at the front gate of the Cemetery at Broadway and 10th Streets. It will last about an hour and 15 minutes, as we stroll through the 1850 cemetery. Visitors can park across the street from the 10th Street Gate. The Saturday History Tours are free. The Old City Cemetery Committee is a non-profit organization. Donations are appreciated and all funds go to restoration and preservation of the cemetery and the tombstones. For Tour information, please call (916) 448-0811. The Old City Cemetery’s calendar is here. This entry was posted in Cemetery event and tagged California cemeteries, cemetery tours, Old City Cemetery, Sacramento cemetery. Bookmark the permalink.